Thinking about change in organizations, teams, and people is something that makes me question what I know and how I came to know what I know. Below is a theory or framework of change that has been useful. My hope is that this theory of change supports your progress. Frame the boundaries… Boundaries are the edges of the work, process, or change, and this is opposed to Goals – a goal is a what by when. 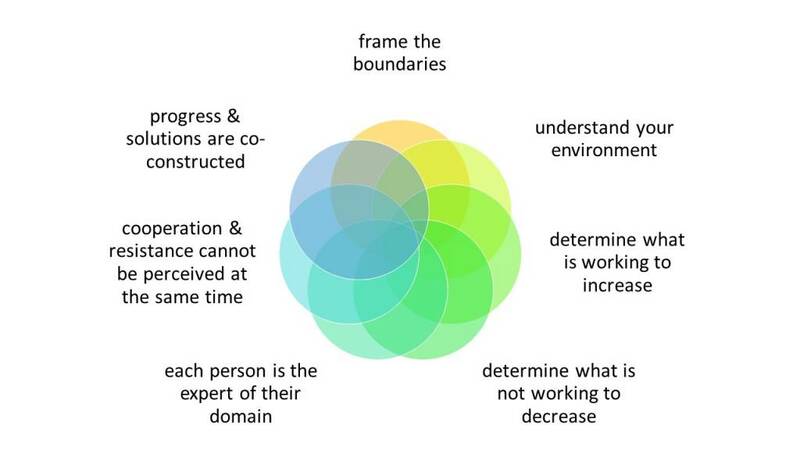 Boundaries are different from goals in how boundaries are the shared edges and goals are the shared tasks to be achieved. With change knowing the interfacing or conjoined edges works better. Understand your environment… Recently used the Cynefin framework to share a sense-making process for understanding the environment and making a decision on how to respond. Pausing to understand your environment within the boundaries will enable a better discussion and implementation of change. Determine what is working to increase… Often in change, we ignore what is working, thinking of them as preliminaries or chance. Within change determining what is making progress/ working well is the signal needed to identify better where to go next, and can remove some of the ambiguity through a discussion of – how did we make this work? Determine what is not working to decrease… Often in change, we are willfully unaware or push harder on what is not working because we feel that commitment means that we must continue. When something is not working – stop it. The client is the expert of their domain. You are the expert of your domain… Treat working adults like working adults; there is little need to play psychologist. The people have gotten to their positions and held employment for a length of time, and they are experts in their day to day work. You know your skills and work better than other people. Respect what they and you know, listen to how they describe what is working and not working, know that resistance to an idea is a healthy sign of change …. it takes friction to make progress. Cooperation and resistance cannot be perceived at the same time…You cannot frame someone as being a resistant jerk and expect to cooperate through change with them. From the framing above seeking areas of cooperation (cooperation may be agreeing that the change is not a good idea) is useful. When you treat someone as a resistor, you treat them as that way and only reinforce the resistance. When someone cares enough to challenge the change, it means they respect and care about the organization, team, and you. Progress or solutions are co-constructed… Change happens when you are moving and recognizing useful things that happen. This progress or solution is not to you or me or them …. it is constructed through our interaction and teamwork. What if the Miracle Question Worked with Corporate Teams?